Installation view of Summer Selections at Art Projects International, New York, 2018. Art Projects International is pleased to present Summer Selections on view from June 28 to July 27, 2018. 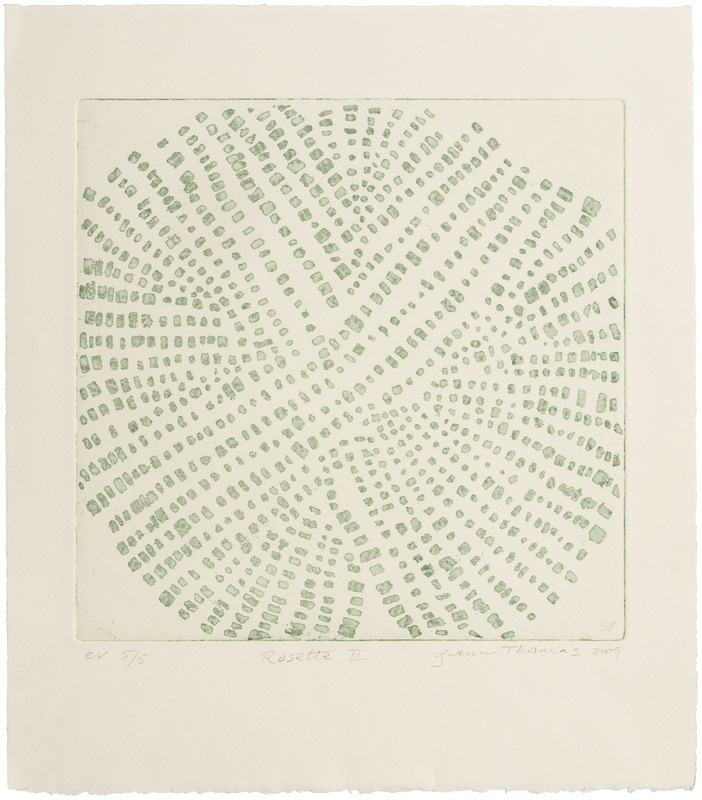 The exhibition features a selection of works with a focus on prints by Gwenn Thomas, Il Lee, Richard Tsao, Soo Im Lee and Zheng Xuewu. Gwenn Thomas’ series of prints draw from her signature works on canvas. 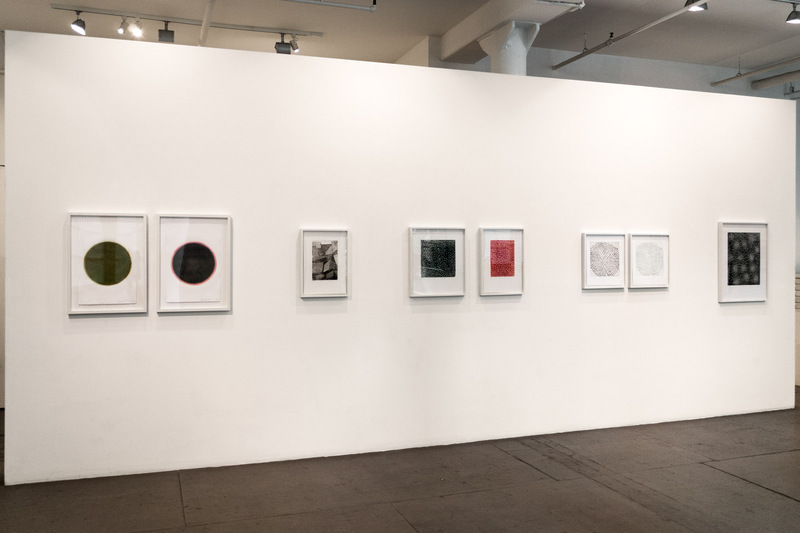 These dynamic, masterful orchestrations of abstract forms and marks—drawn rectangles of solid color, silhouettes of cut bits of cloth, depictions of paint strokes or a wayward bit of newsprint—are realized by hands-on manipulation of printing plates. Thomas’ series Rosette is a balancing act of the delicate and rough hewn and the precisely patterned and organically derived. Marks which remind of cuts in a stela form a rough circle including, at once, patternings of uneven concentric circles and askew crosses. Thomas’ work is represented in major collections including The Metropolitan Museum of Art; Museum of Fine Arts, Houston; Philadelphia Museum of Art; Harvard Art Museums/Fogg Museum; Princeton University Library, Graphic Arts Collection; Chase Manhattan Bank; Progressive Art Collection; Saatchi Collection, London; Citigroup, New York; C.A.M. Fundação Calouste Gulbenkian, Lisbon, Portugal; and São Schlumberger, Paris. A survey of Thomas’ work was published by Charta (Milan, Italy) in 2013. 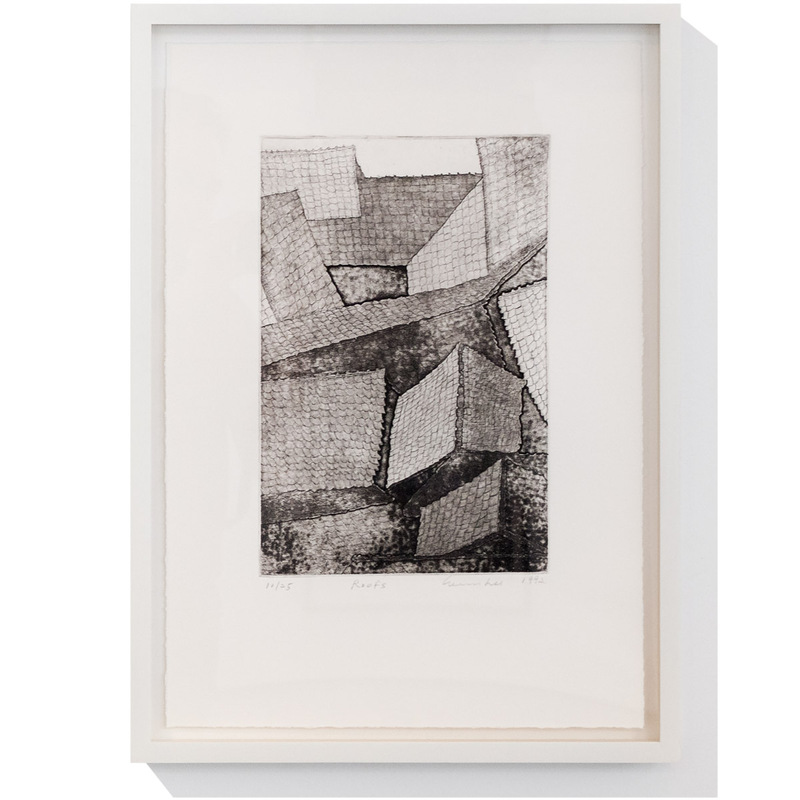 Il Lee’s Greenpoint series, named after the streets of Greenpoint, Brooklyn, are limited-edition etching prints evocative of his most recent ballpoint works. 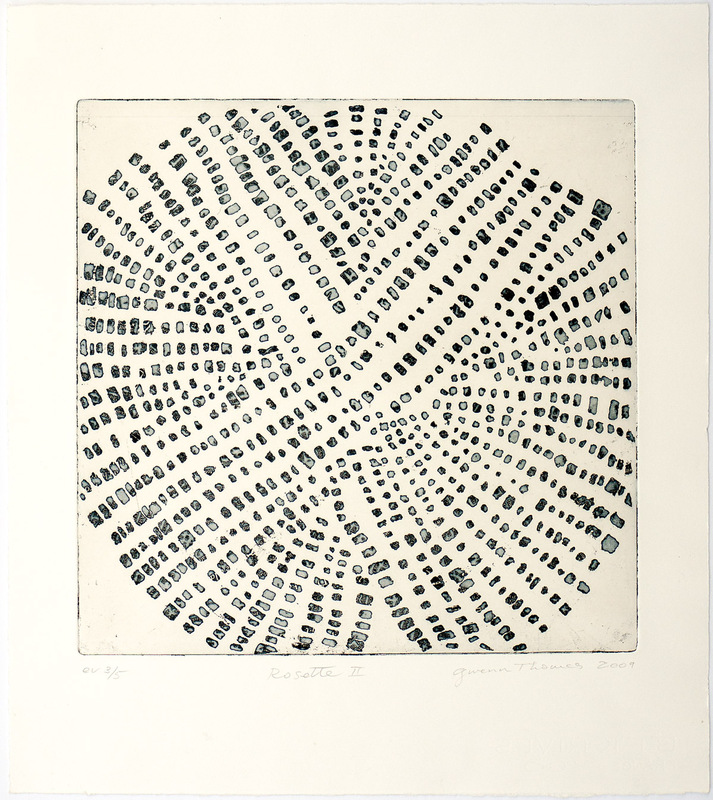 This recent focus on the etching process allows Lee to extend his lexicon of mark-making and through this experimentation and exploration, Lee has recently been altering the character of his well known, form-giving, energetically looping line. His work has been the subject of numerous major solo exhibitions including his critically-acclaimed mid-career survey at the San Jose Museum of Art in 2007. His work has been exhibited at The Metropolitan Museum of Art, The Aldrich Contemporary Art Museum, Brooklyn Museum, The Vilcek Foundation, Queens Museum, Crow Collection of Asian Art, Palms Springs Art Museum, Arkansas Arts Center and National Museum of Modern and Contemporary Art Korea. 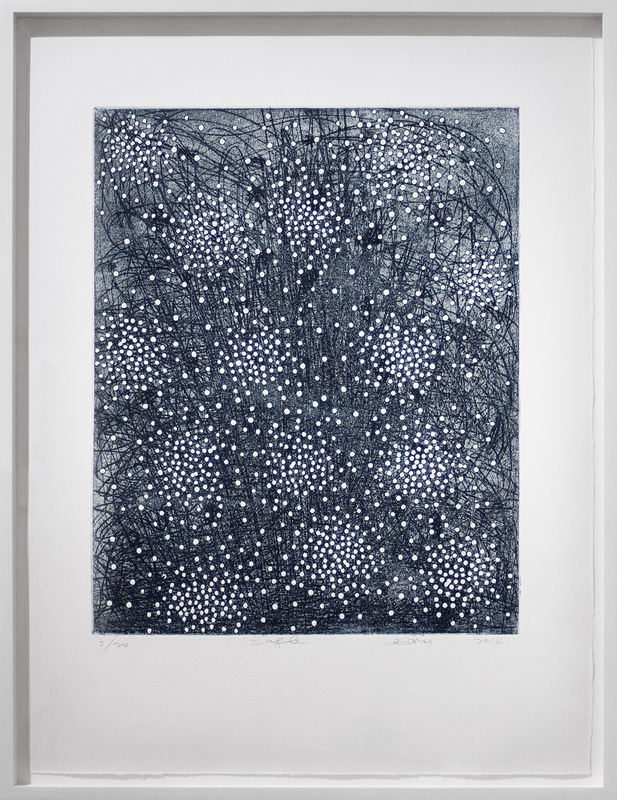 His work is represented in major collections including The Metropolitan Museum of Art, Leeum Samsung Museum of Art (Seoul), National Museum of Modern and Contemporary Art Korea, San Jose Museum of Art, Vilcek Foundation, Palm Springs Art Museum, Société Bic (France), and Minneapolis Institute of Art. 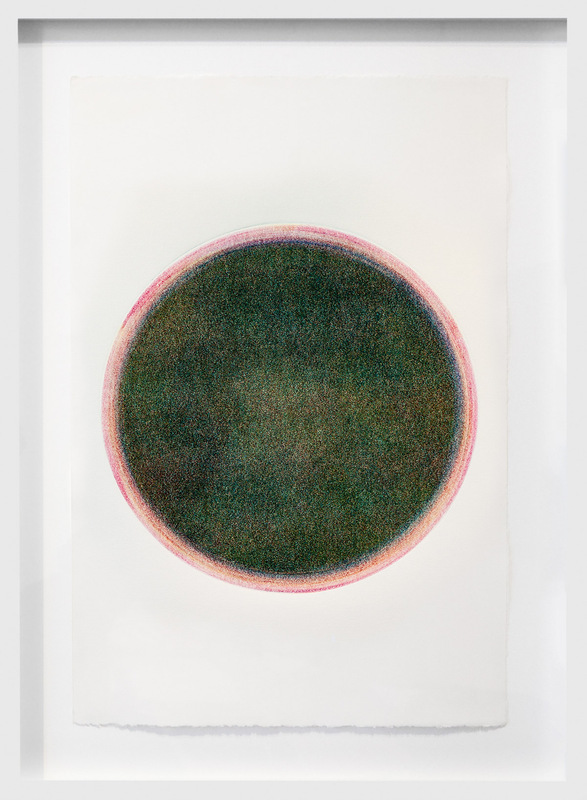 Richard Tsao’s Round series monotypes of the 1990s are circles, discs of color, which do not seem fixed in the physical world. These superb monotypes take full advantage of the possibilities of transferring an oil painting onto paper. In Tsao’s paintings on canvas (many-layered works created in Tsao’s specially designed paint flood-room), the physicality of brilliantly colored paint also becomes architecture; in contrast, these Round works are the distillation of the spirit of color. 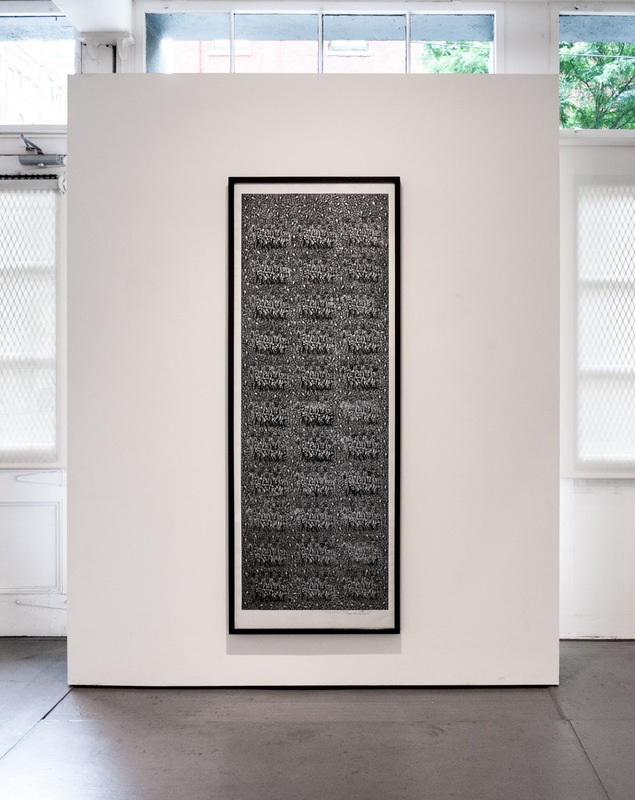 Tsao’s recent solo exhibitions: Richard Tsao: Works from Industry City, Art Projects International, New York (2014); Richard Tsao: Nam Wan, Art Projects International, New York (2010); Richard Tsao: Flooding, Art Link, Seoul, Korea (2008); Flood, Chambers Fine Art, New York (2005); Portraits, 100 Tonson Gallery, Bangkok, Thailand (2004). Born in 1954 in Bangkok, Thailand, he lives and works in New York. Tsao’s work is represented in major collections including the Weatherspoon Art Museum, Arkansas Arts Center Foundation Collection and Montefiore Fine Art Collection, New York. Soo Im Lee works across a wide range of media including printmaking. She creates bold, multi-layered, intuitively derived paintings with imagery and detail that bring to mind complex three-dimensional spatial structures, intricately woven mesh, and lush forests of lines. In her limited-etching print Roofs, delicately etched lines render patterns of tiled roof creating abstract composition. Soo Im Lee moved to New York in 1981 and continues to live and work in New York. She received a B.F.A. and M.F.A. in Painting from Hong-Ik University in Seoul (1976 and 1978, respectively) and a M.A. in Printmaking from New York University (1984). Recent exhibitions include Soo Im Lee: Across Time and Place, Art Projects International (2017); Marking 2, Art Projects International, NY (2016); Summer Selections, Art Projects International, NY (2014); Curate NYC, Rush Arts Gallery, NY (2013); Intersecting Lines, Art Projects International, NY (2012); 911 Arts: A Decade Later, Commons Gallery, New York University (2011), Absence, Queens Museum of Art: Partnership Gallery, NY (2010); and Irrelevant, Arario Gallery, NY (2010). Zheng Xuewu, makes on a single work’s surface of colored ground, thousands of individual prints from woodblocks he has carved, cast metal printing type, stamps and other found objects; he finishes each work by painting into it and further coloring it by hand. 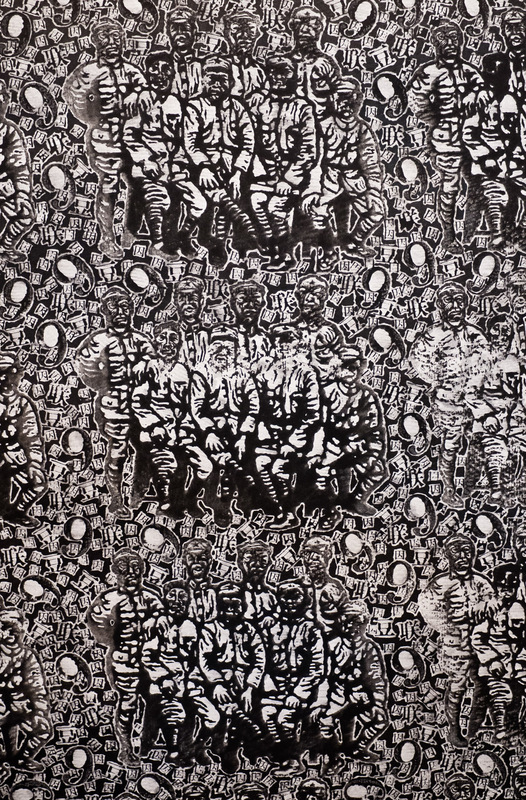 A work may feature a dense sea of Chinese Characters sharing the paper’s expanse with small prints of cartoon characters or a repeated wood block print of Red Army soldiers jostling for space with an orchestrated multitude of numbers, text and abstract shapes. 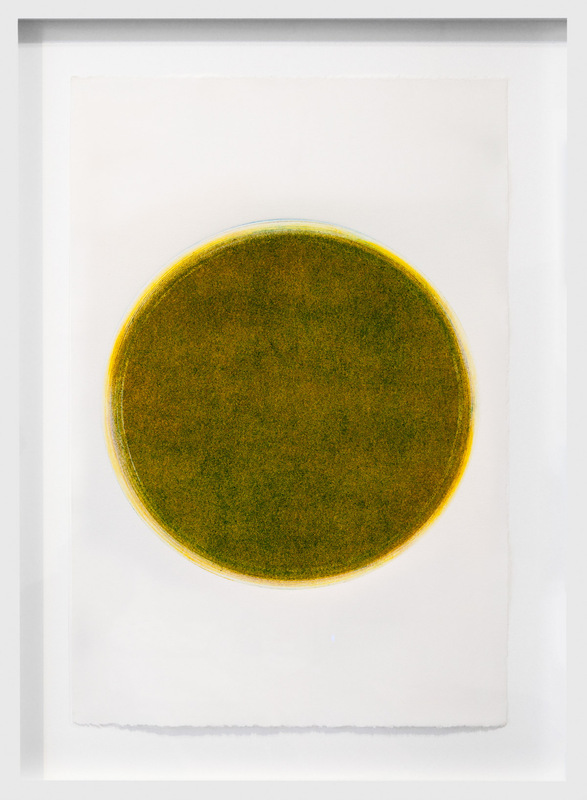 At 86 1/4 x 32 1/4 inches, each of the works in Zheng Xuewu’s Ink Piece series suggests a large scroll. Zheng’s unusual and harmonious amalgamation of techniques as well as his highly individual aesthetic result in work that is immediately striking and conceptually and esthetically engaging. His work is represented in major collections including the National Art Museum of China, Beijing; Kaethe Kollwitz Museum, Berlin; Library and Archives Canada, Ottawa; Beijing International Art Palace, China; Ringier International, Switzerland; Gwangju Museum of Art, Korea; Ackland Art Museum, Chapel Hill, NC; Guilford College, Greensboro, NC; University of North Carolina, Chapel Hill; Emory University, Atlanta; and Tsinghua University, Beijing.